Comments Off on What is a Faithful Preacher? What does it mean for a preacher to be faithful? How does one even measure a preacher’s faithfulness? While I acknowledge that whole books can be written to address these questions alone, let me offer at least six marks of a faithful preacher. In order to be a faithful preacher, you must first know your audience. Different groups in different settings often require sermons that are different in style and depth. Thus, every sermon should be a customized sermon, crafted specifically for the recipients. How will this point strike the 80-year-old widow who lost her husband last year? Will people be able to grasp this biblical concept as presented, or do I need to simplify my explanation? What does this truth have to say to the young couple who is struggling with their marriage? Every sermon is delivered in a context, situated in a cultural moment with space and time realities. Preaching is not a sterile or clinical act. Therefore, in order to be faithful, familiarize yourself with your audience. Faithful preaching requires being familiar, broadly speaking, with the text or book you are preaching. This familiarization takes place at both the macro and the micro level. At the macro level, it means having the big picture of the text clear in the mind. One way to accomplish this is by keeping track of context. For example, when preaching through a book of the Bible, I read through it at least twice in a row. Additionally, I peruse commentaries and other resources early on to help familiarize myself with the contours of the book. Faithful preaching involves structuring your sermon around the structure of the text. Not all sermons will, nor should, sound the same. The surest way you can confirm that your sermon structure is textually oriented is to preach expositionally. As you do, the theme and contours of the text will become apparent, and as a result, they will drive your outline. A pertinent question along these lines is “Do my illustrations amplify or detract from the text?” To illustrate is to play with fire. When contained and rightly calibrated, good illustrations can add light and heat to the sermon. When uncontained and over torqued, they can consume and destroy the sermon. Balance here is key. Ponder this question carefully, “Will this illustration illuminate or overshadow what the text says?” Keep your illustrations tied closely to your structure, and you will likely avoid error. And whatever you do, never illustrate an illustration. Preaching is God’s appointed means to strengthen the church and convert the lost. 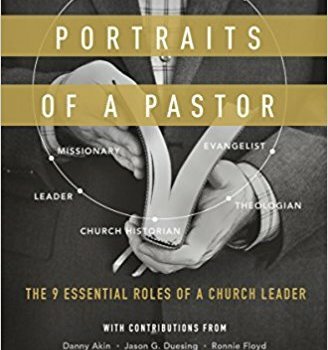 In every generation, the church needs pastors who preach with courage and fervency, who view preaching as the center of their ministry. Courage is essential to being a faithful preacher. I love the way 2 Timothy 4:2 encapsulates this courage. Recall the backdrop of the book. Timothy, a young man who is probably in his early 30s, is clearly discouraged and second-guessing himself, so Paul is writing in a prophetic, apostolic way and in essence saying, “Buck up.” He is challenging him. He is exhorting him to do this. He is reminding him of his rootedness in Scripture, his call to stand on Scripture and preach it. Then, he moves into how to preach the Scripture and bring it to bear on his hearers: “Preach the word, be ready in season and out of season, reprove, rebuke, exhort, with all patience and instruction” (4:2). Notice the word preach. To preach means to herald or to proclaim, to speak intensely. It comes with a force that presupposes courage. It is not so much the modulation of one’s voice but the force of the words, weighted with conviction because you are proclaiming God’s very Word. Preaching is more than a data dump. The central liability of many expositional sermons is just that. It is a rambling commentary that drops data on people, and preachers cannot figure out why people are getting bored. We are to present the text with force— probing, pushing, and prodding our listeners. It is more than transmitting what you read in the commentaries to your people that week. It is to take it and apply it with a “Thus sayeth the Lord” charge. Mark your life and set yourself to preach with courage. As gospel preachers, every sermon should contain the gospel. Usually this happens quite naturally and organically within the text itself. You don’t have to be an archaeologist to find Christ in the text; you just have to open your eyes. Paul’s ambition to preach Christ and him crucified should be ours as well, and we can best accomplish this by not just preaching “gospel” messages, or by tacking on the gospel at the end of our sermon. To rightly interpret any text is to draw lines from that text to the broader, biblical metanarrative of Christ and Him crucified. Therefore, to preach an Old Testament narrative or a New Testament epistle should not be a detour from the gospel. Rather, it should be an inroad to it. Every sermon based on Scripture is a sermon where Christ can be rightfully and prominently featured. Biblical exposition isn’t easy. It takes time to interpret the passage in its context, build an exegetical outline, and fashion it all together in homiletical form. And then you have to deliver it—a craft in and of itself. Year after year, the rigor of preparing sermons has deepened my Scriptural knowledge. The thousands of hours wrestling with texts have been incalculably sanctifying. Moreover, preaching verse-by-verse through books in the Bible forces me to confront difficult doctrines, grapple with knotty texts, and apply the full complement of Scripture to my own life. Plus, regularly delivering sermons has knit my heart to my community and allowed me to grow as a preacher. All of this, and more, facilitates spiritual growth and maturation—not just for the preacher, but for his hearers. The more we develop in our craft, the more others are built up. Thus, a faithful preacher will not tire in refining his ability to divide and deliver the word of truth. Pastor, you are called to be faithful above all else. Can you say these six marks reflect your pastorate?